Severance agreements protect companies and employees from the negative impact of a termination. While they’re a standard part of termination in some countries, the Fair Labor Standards Act does not require an employee to offer severance pay or a severance agreement. Severance agreements may be drafted by your employer to protect their company. You may request one to protect your interests. Either way, you need an attorney who is knowledgeable in severance agreements to help you negotiate for fair terms. Some of the issues you should consider for a severance offer are your pension. You need to find out if the pension you’ve worked hard to receive is still going to be given to you when you’re of retirement age. You do not want to give up your rights to that pension. Was your 401 (k) subject to an employer match? If you were not with the company long enough to be vested, you could lose the employer match. You get the 401 (k) funds that you invested, but you could lose a lot of money if your company did not provide immediate vesting. Is there a confidentiality agreement in the severance agreement? The company may not want you saying anything, but do you know what they can say about you? You need to find out what this confidentiality agreement covers. What about a release from claims? That’s a standard addition to a severance agreement. The company wants to you release them from future lawsuits. Does it also say that they release you? If you have to agree to not hold them liable, you need the same agreement. One more addition to a severance agreement that needs careful attention is a non-compete clause. 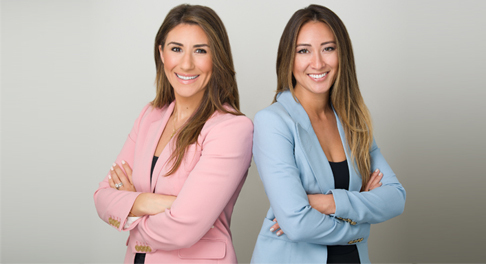 If you’re terminated for any reason, a non-compete clause would forbid you from taking a position with a competitor for a specific period of time. Unless you’re ready to dive into a completely different line of work, a non-compete agreement could keep you from finding a new job. The United States Department of Labor does not have laws covering employees who have been terminated from their jobs. The company is required to pay for hours worked prior to termination. They must also pay you for your unused vacation. Beyond that, severance pay is up to the company. The Age Discrimination in Employment Act of 1967 offers specific protections to older workers. Also known as the Older Workers Benefit Protection Act, this act covers workers aged 40 or older. If you’re asked to sign a severance agreement, the Older Workers Benefit Protection Act requires employers to give you a minimum of 21 days to look over the agreement prior to signing. After signing the agreement, these older workers also receive 7 days to reverse their decision. Severance pay may not be required of the company who terminated you. There are exceptions to this, however. If you had an employment contract that talked about severance pay, you may be owed money. A qualified employment attorney can help you understand if you should be entitled to severance pay and if the amount of severance pay is reasonable and fair. There may be help for employees who didn’t have an employment contract or severance agreement, too. If you’re asked to sign a severance agreement, do not agree until you’ve talked to a severance agreement attorney. 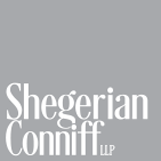 Contact Shegerian Conniff and arrange a free consultation. Our team can help you decide if you’ve been treated fairly or if the severance agreement is something you should sign.